Nota-ThinOblique font family series mainly provide ☞,Regular and other font styles. 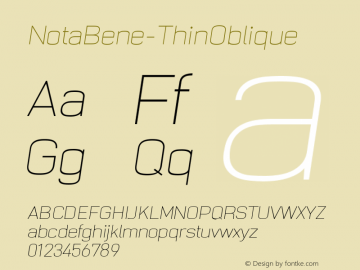 NotaBene-ThinOblique font family series mainly provide Regular and other font styles. 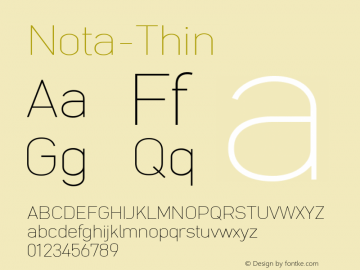 Nota-Thin font family series mainly provide Regular,☞ and other font styles. 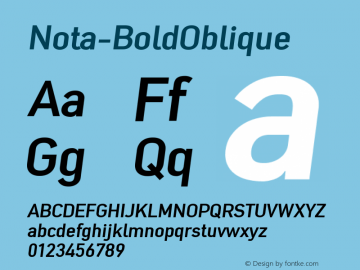 Nota-BoldOblique font family series mainly provide ☞,Regular and other font styles. Nota-XBoldOblique font family series mainly provide ☞,Regular and other font styles. 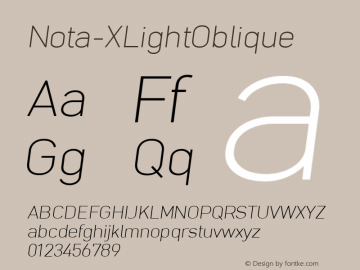 Nota-XLightOblique font family series mainly provide Regular,☞ and other font styles. Nota-LightOblique font family series mainly provide Regular,☞ and other font styles. Nota-MediumOblique font family series mainly provide Regular,☞ and other font styles. Nota-NormalOblique font family series mainly provide ☞,Regular and other font styles.